So after moving country and house and finally having some space I was inspired to make a return to growing after almost 20 years. The last grow in 2000 was heavily supported with OG inspiration and glad that this resource and community still thrives. So. After trawling the pages, asking a bunch of stupid questions and getting great (some funny) answers I’ve managed not to electrocute myself or burn down the house 🤞. 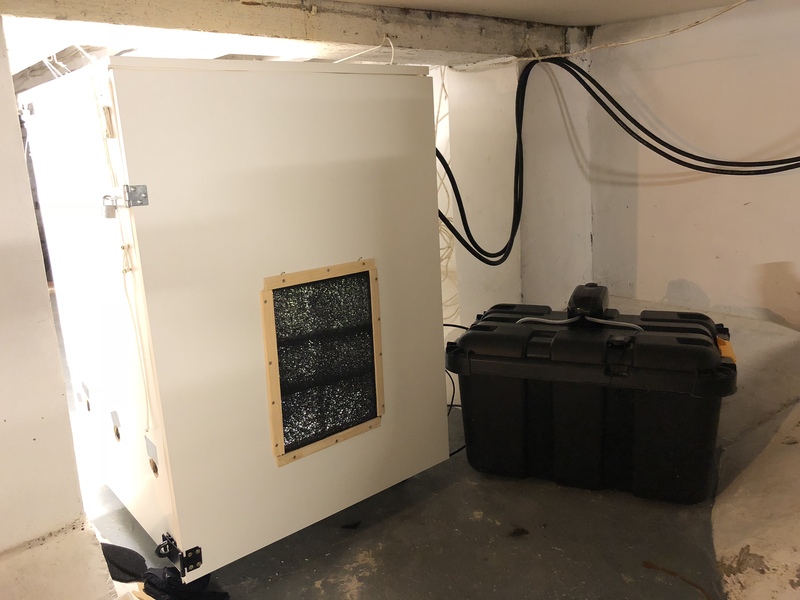 Upfront, a big thank you to all the regulars and the people who took the time to reply and read previous posts and for the down right inspiring grow setups and information shared here. It’s been far from perfect and if I had the chance would do a lot different. Only now realising many of the impracticalities and limitations. I was also too damn hasty in sourcing seeds and selecting any first salvos to fire into the ground. One cabinet, two strains, one auto one “normal feminised” - me wondering “WTF?! Why are these already flowering” - yes... I’ll save you the lecture “dumbass move”. More on that later. 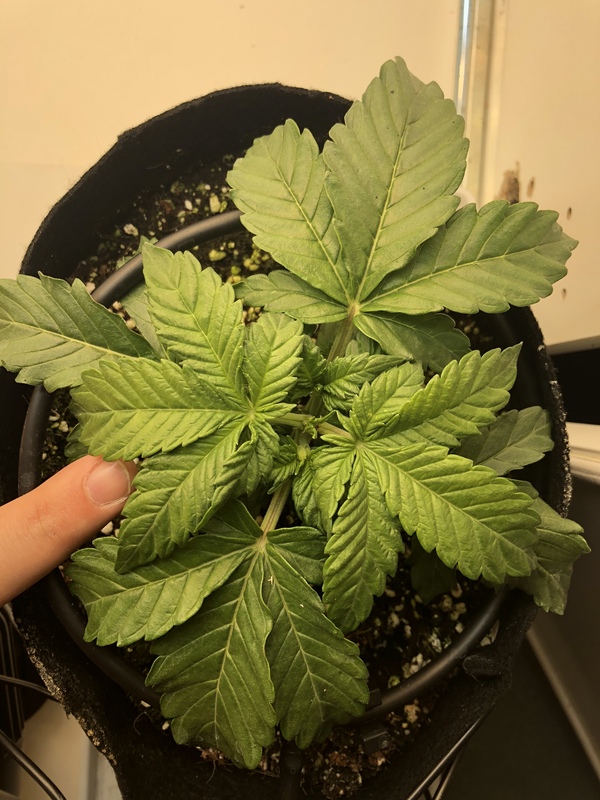 Looking for advise on how to make the best of it now with two plants on a totally different time track. Overall - critique and comments welcome. But first a quick fly over. Work area: internal moveable shelf mounted on 80kg rated telescope runners. 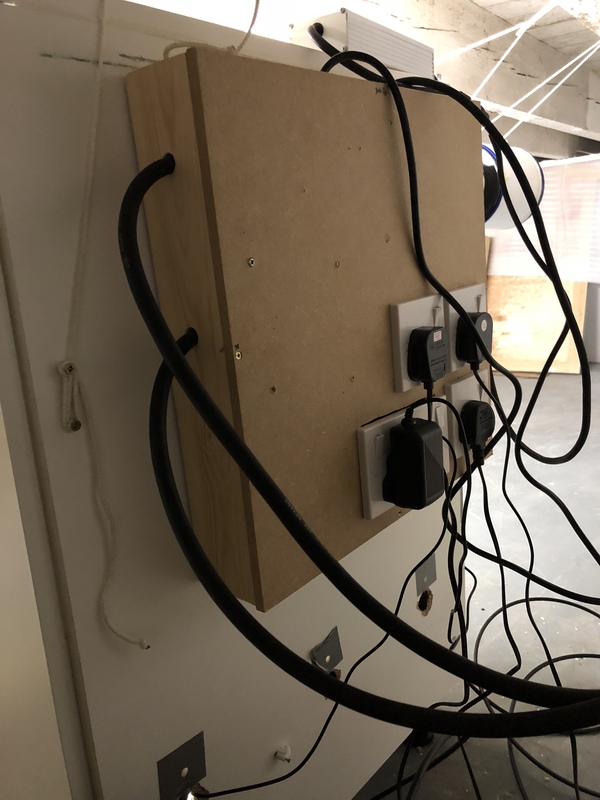 Drainage: IKEA Kugis 18cmWx26cmDx8cmH white boxes and lid, holes drilled through lid and boxes linked to drainage pipes. 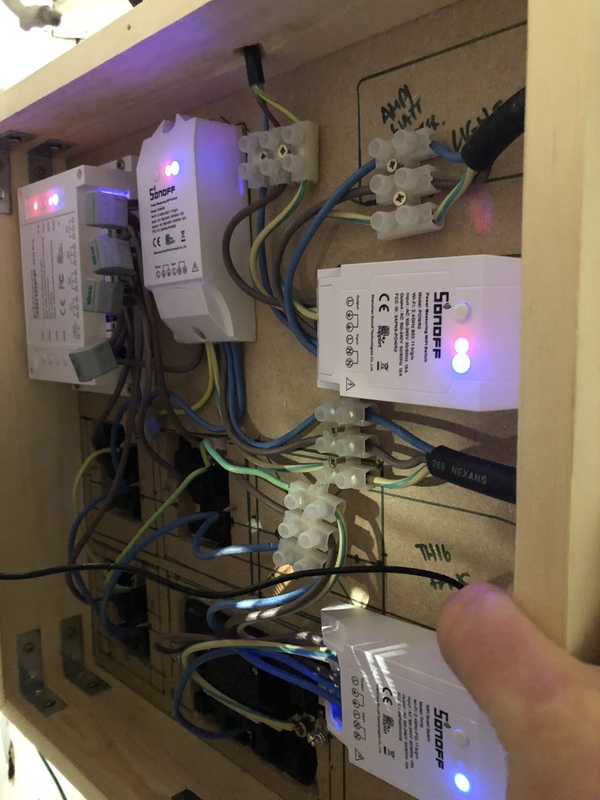 Automation: Sonoff PWR2 for lights and DIY set of plug points; plugs split using Sonoff 4CH Pro; Sonoff TH16 linked to plug point powering fans (plug and USB socket) - the whole Sonoff / Plug box heavily inspired by Colanoscopy and others in the Automation Station. Temps and humidity - initially struggled to lift humidity and then fought the opposite problem when decent size fan leaves formed in abdunace. Started from seed. 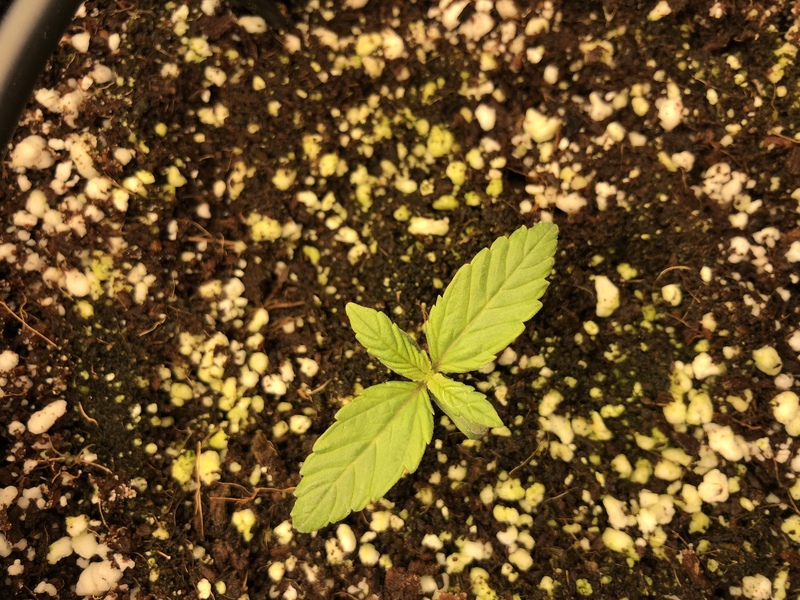 Germinated seeds put into coco on 18/Feb/2019. 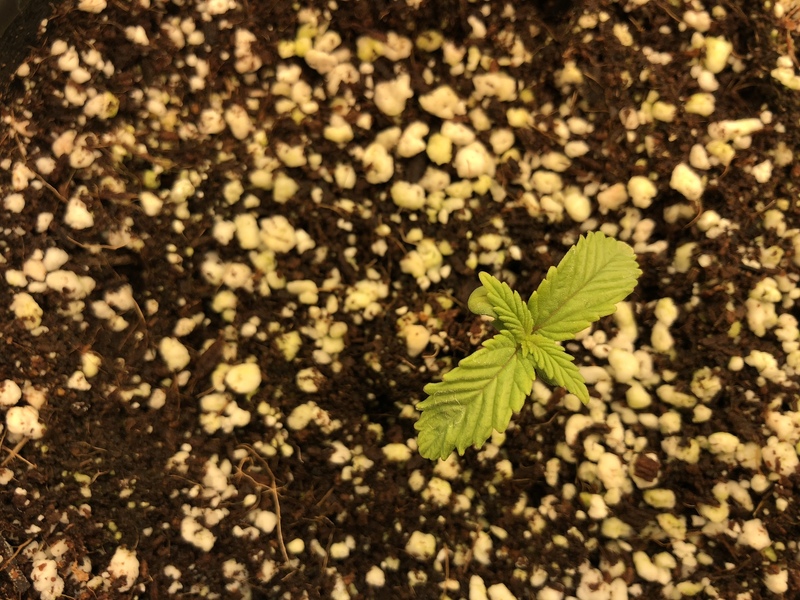 First 7 days was pure water fed - probably should have been shorter or straight to nutes. Switched to Coco A&B nutes at 25% (20ml of each on 40L); feeding twice a day. Switched recently to 50% and been feeding once a day straight after lights on. Water at 21*C and aerated for 5 hours before watering while water temps at 16-17*C, warming just before feeding. 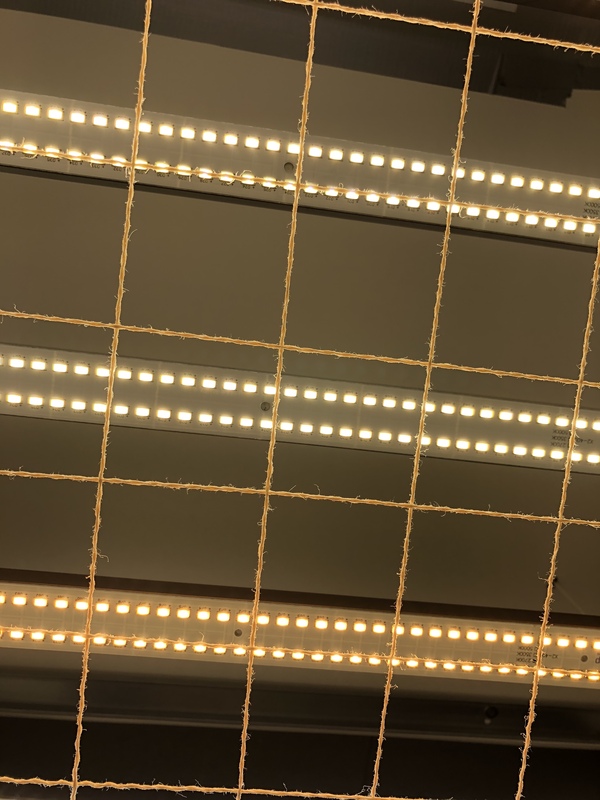 Lights: 19/5 at 90W (26W/Sqf) draw for three weeks. Switched to 19/5 at 110W (31W/Sqf) draw for two weeks. Currently at 19/5 with 145W (41W/Sqf) draw. Screen in but then it dawns..... the damn auto. 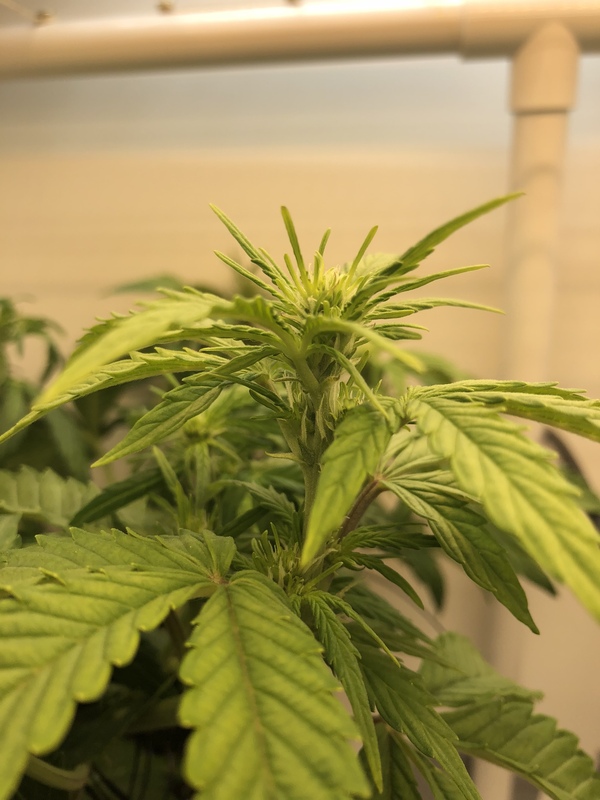 How to maximise the outcome from two different strains with one flowering about 3 weeks earlier than the other? 1) Do I pull the DP Autos out and bin em? Not even attempt it and accept that the two DP plants are too far ahead of the others to try finish them simultaneously? Harsh I know as the DP Autos look so happy and vigorous. 2) Do I put them in the garden outside and hope they don’t get noticed and risk stunting them by shoving them into soil after hydro RTW drip feeding? 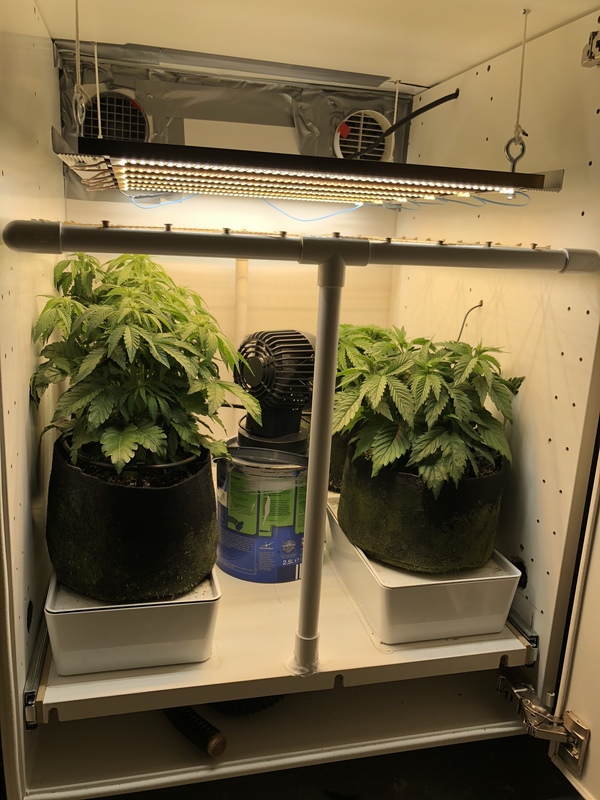 3) Do I keep them and attempt to flower best possible before flipping lights when the Gelato 41 is mature enough to flower, the whole while training the Gelato into the screen (i read and presume its too late and impossible to scrog the autos) and attempt to scrog the Gelato? If I go with 3, I presume the DP Auto won’t stretch a whole lot more so chances are it goes into proper flower without being able to scrof it and it finishes while the Gelato potentially encroaches on an ever increasing scale - hence the DP would likely finish in the shade of the Gelato.... then I will also have the challenge of extracting the DP without damaging the screen or the Gelato which will have to continue for some time longer. Maybe bin the scrof and only LST them all? That’s my conundrum. Any thoughts welcome. 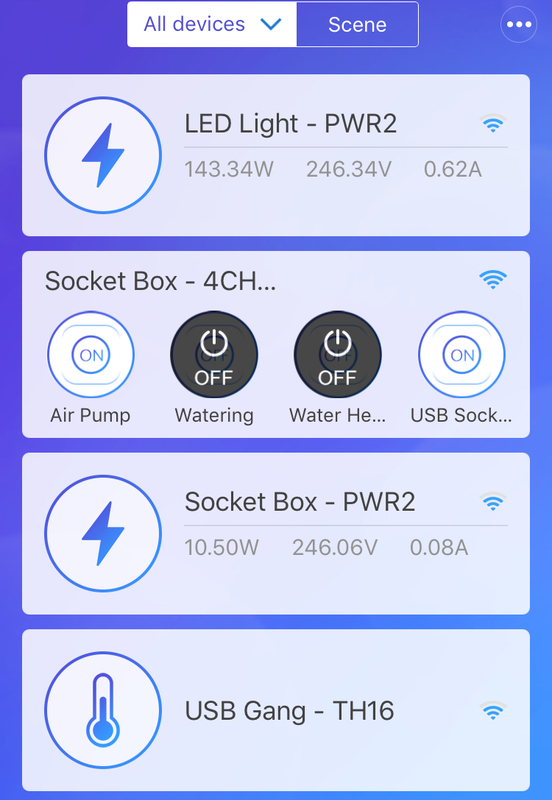 As to putting the auto-flower outside(to free-up space?) -- My only hesitation would be security; If you're safe then otherwise... Put them in your sunniest window & accept they'll produce a lot less. Thanks for the thoughts @cannabissequoia and dropping a line. 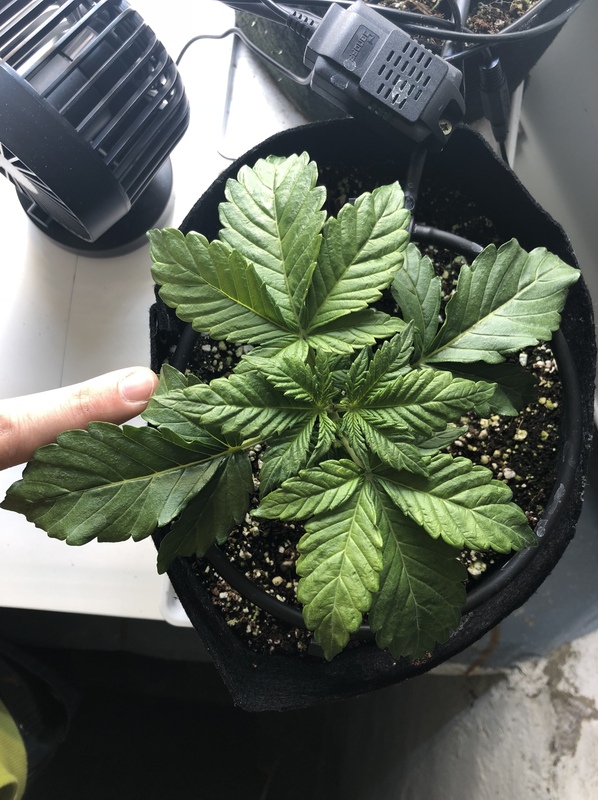 I thought perhaps your Durban Poison love would mean you’ve done a few DP autos. 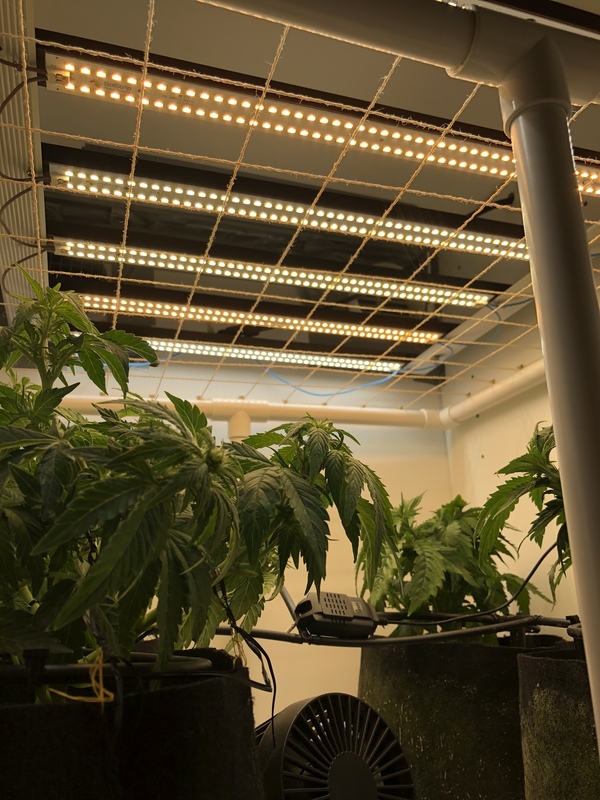 If this is what they look like now at 19/5 lights and showing first flowers, what is the likelihood they will stretch much more after flipping to 12/12? 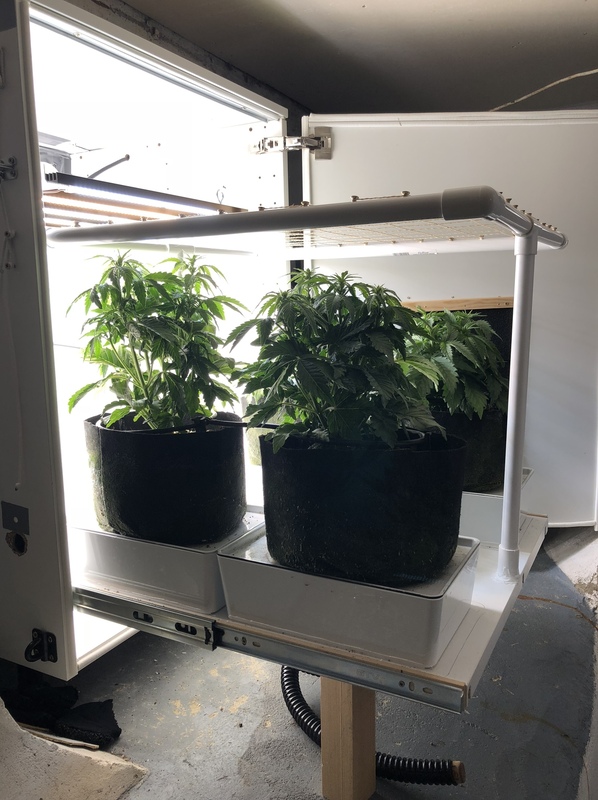 I don’t want to flip yet as I would like to allow the Gelato to add some more height and bulk first and show maturity first. Guess flipping early is a potential 4th option once going with 3 in the original post. 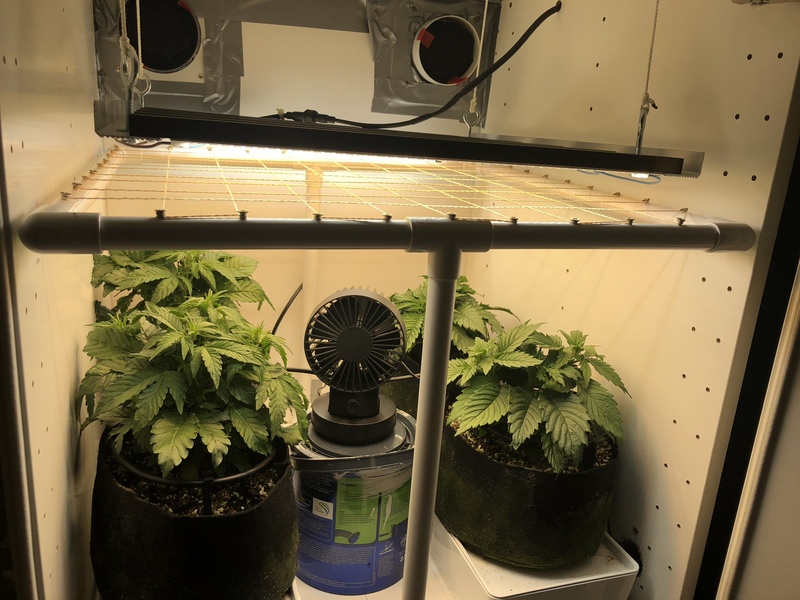 You could always just run that auto on less light as well and it just won’t grow as much, doubt it will harm the plant to get 12-12. Wouldn’t throw it out just because you’ve got more photos than autos. 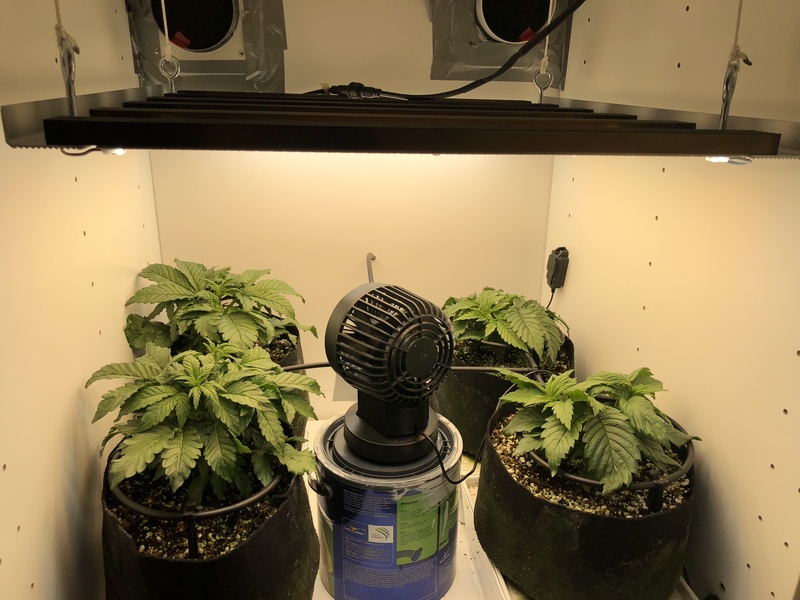 I've only dabbled in the autos so far(they're very interesting/exciting) and haven't grown a DurbanP autoflower(that does sound amazing/useful). The stretch varies strain-to-strain but can be as much as 300% so be prepared to intervene & manipulate often(daily). They've got a good healthy growth rate so it won't be too long before you'll want to flower...maybe 1-2 weeks? The only conern I see here is possibly running out of vertical height with the light but I'm not the expert here...so ignore that for now. Nice setup! Looks like you took your time and really thought things through. 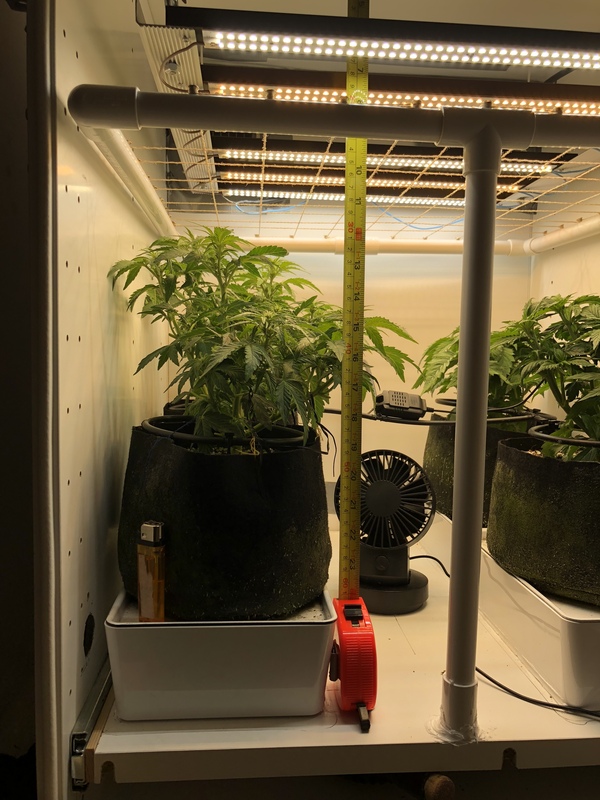 Flip the lights to 12/12, the autos will continue to grow just fine, but yield will be about 30% less. Leave the lights as they are, but keep topping the photoperiod plants to keep them small. I do this with bonsai mothers all the time. You could also get a bunch of clones while your at it. @Explorer - By less light you mean less Wattage draw or loner dark cycle. I am reluctant to shift them as DP is a strain I love and it speaks to my roots. @cannabissequoia - 300% stretch just from the DP Fem Autos would overwhelm my space, nevermind trying to finish the Gelato also. 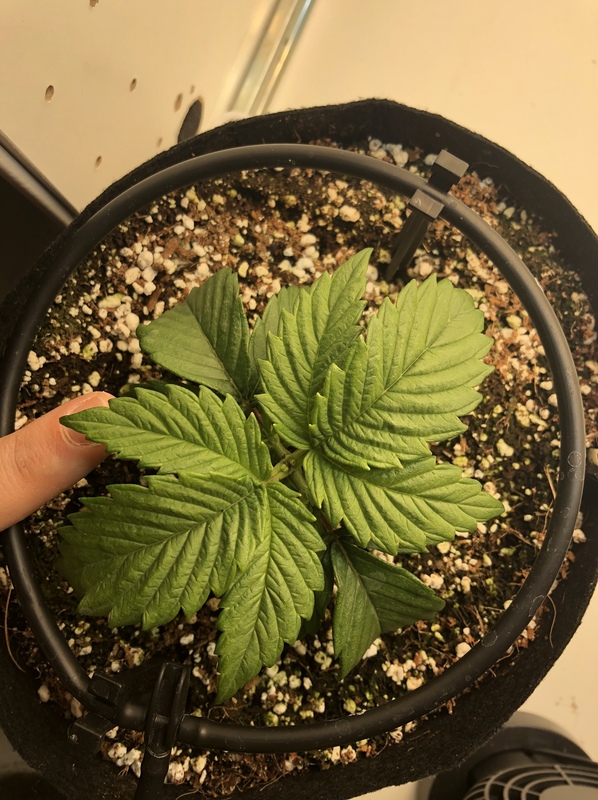 That’s gonna take some serious shaping, LST and trellis working. @ReikoX - thanks for the idea, oddly hadnt considered what you propose. 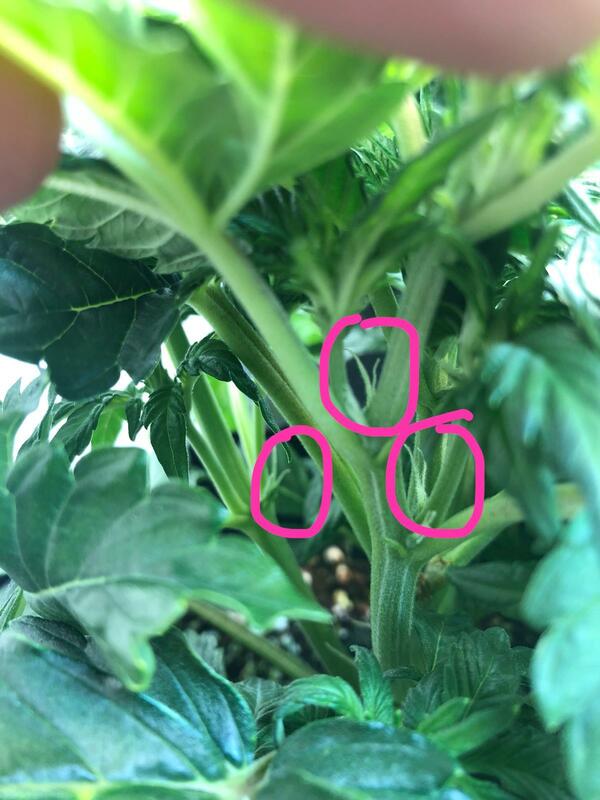 Guess it’s a logical option given the DP Autos would be fine under veg light routine. What about feeding though - I’m running on a single reservoir with nutes set to mid veg. Obviously always a risk to up it too much on flowering due to over ambition. 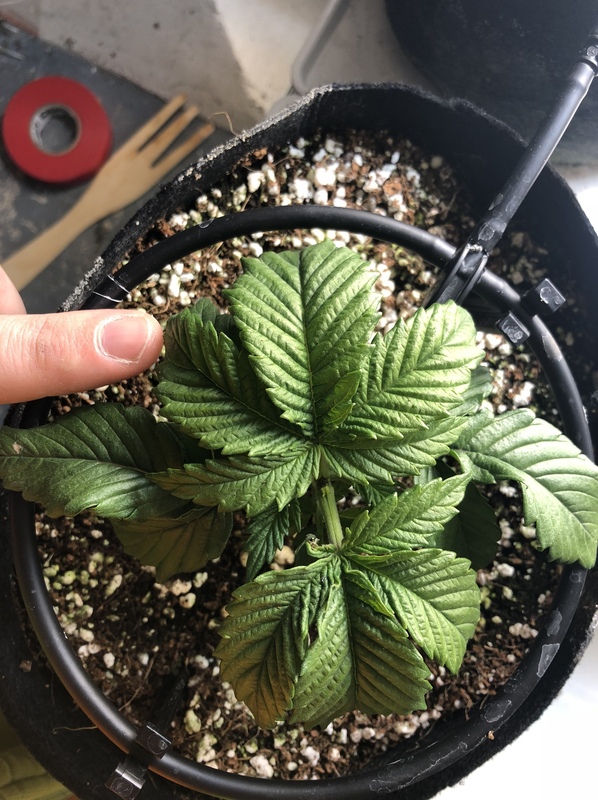 Maybe I just focus nutes on the veg of the Gelato 41 and take the yield I get from the Autos. 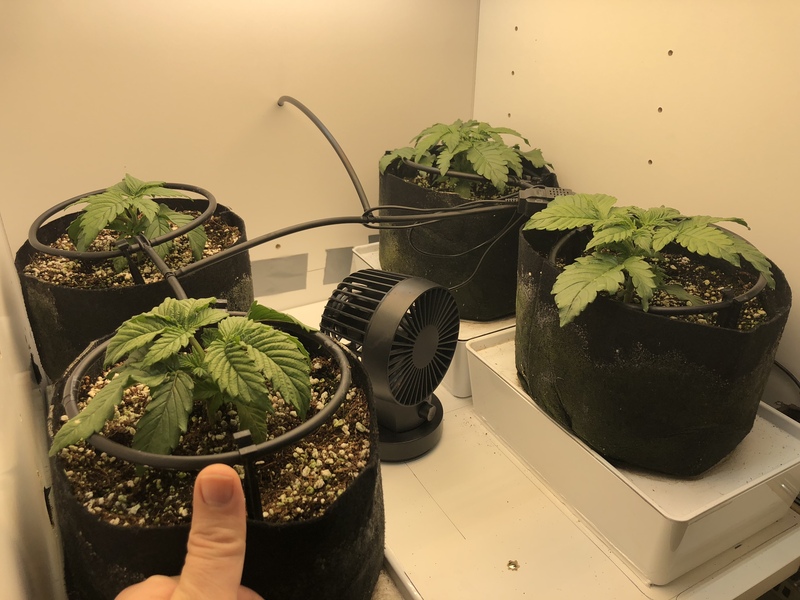 When you mention 30% less yield - is that the Autos or the Gelato if hitting 12/12 now? I’d assume it’s the Gelato because it’s being forced early but not sure why he Autonyields lower on a switch in light schedule. Need to do some reading up in that respect. Feeling pretty indecisive. I think the potential of cloning some of the Gelato might swing it. Thanks @cogitech - there was a fair bit of thought given but still an immense amount of last minute fixes and hacks. As said I’d do it over if I had the time. Been a lot of fun though. Secondly. Pull your auto out of there and go and plonk her by a river. It's spring here in the UK now. Mine will be going out in a couple of weeks. (Maybe use a week to harden her off by a window if you can) this way you get to grow both and not mess with light cycles. You might not get perfect results outdoors but its free so worth the risk IMHO. Edited to say then you said durban poison speaks to your roots and now I'm thinking south Africa. It's like a budget version of guess who this. Supposedly we are gonna have a spring that gets into the high 20s so.... I've put 3 autos in pots out the back of where I live. One I started indoors but 2 others I just pushed the seed into compost and gave a light watering. They are breaking the surface after only 4 days. 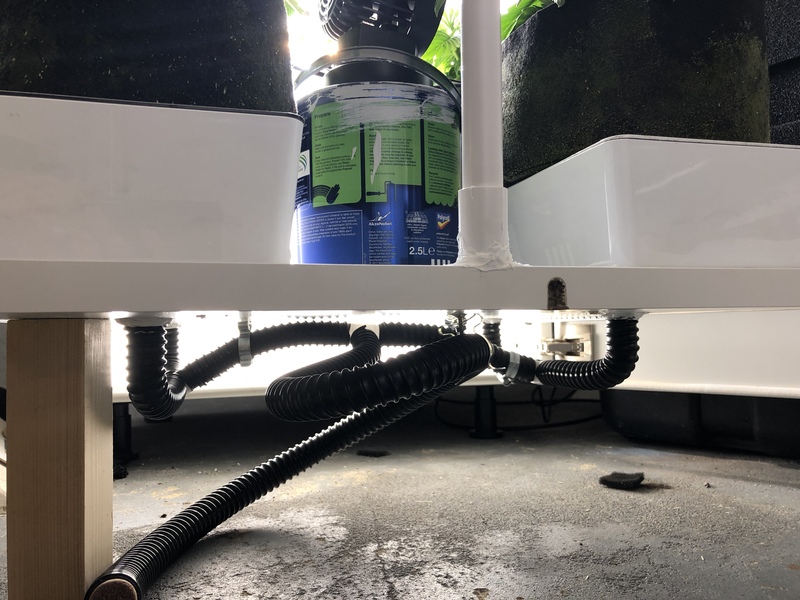 Humble thanks for the praise on the grow setup. My mind was indeed on that while day dreaming of OG worthy frosty cones. You got me almost in one. A lot going on here in language, genetics and geography. Indeed spring is coming and I am very tempted to put her outdoors. I’ve checked the neighbourhood in detail and there isn’t anywhere practical or secure. It’s my backyard or stay in the box. Unfortunately the less enlightened in laws are around a lot at the moment so need to think this through. If I do move them out can I simply bury the coco root ball in a bed of potting soil and let the UKs normally inclement spring and summer weather take course? If I need to feed - other than optional feeding to support the yield - it’s a no go. The RTW setup with a 40L Reservoir was specifically to try minimise maintenance time. I did a bit of pruning last night and trained the branches on the DPs. 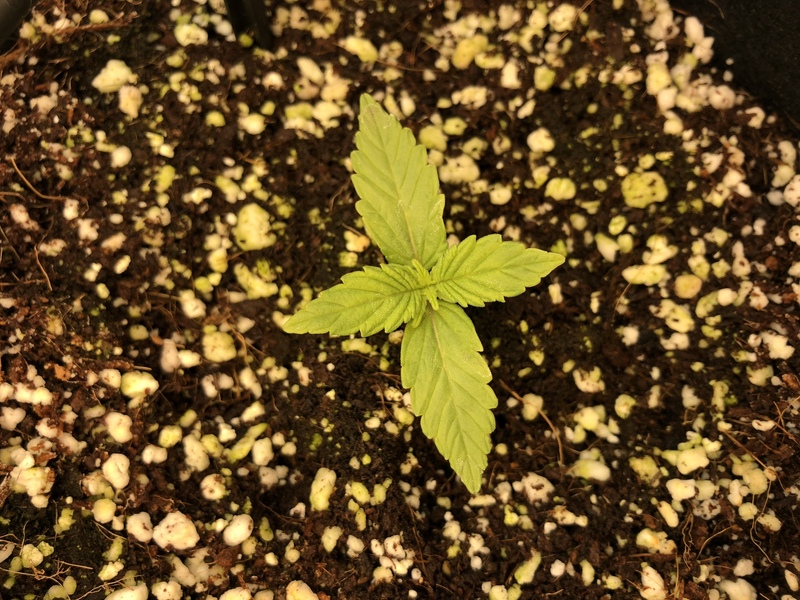 They’ve responded well and early bud development is exciting. I reckon a potting soil/compost mix will get you by out in the wilderness. And now I'm gonna presume you're in London with no space nearby. There's a few places that are rarely trodden even in built up areas. Railway embankments are a decent one. They chop back foliage year after year and literally leave it where it sits usually. So naturally rots down and becomes quite fertile ground too. You shouldn't need to go and feed given our inclement weather 🤣 I personally will be going to check on mine and give them an occasional top up but a few good folks on a discussion (regarding no till) here that assure me they will grow either way. soooo in the mood to use google to find you some spots but I'm unsure of whether Cola's a leaker or if you're in Jo-burg or Edingburgh or Berlin. By 30% less yield I'm talking about autos on 12/12 instead of 20/4. 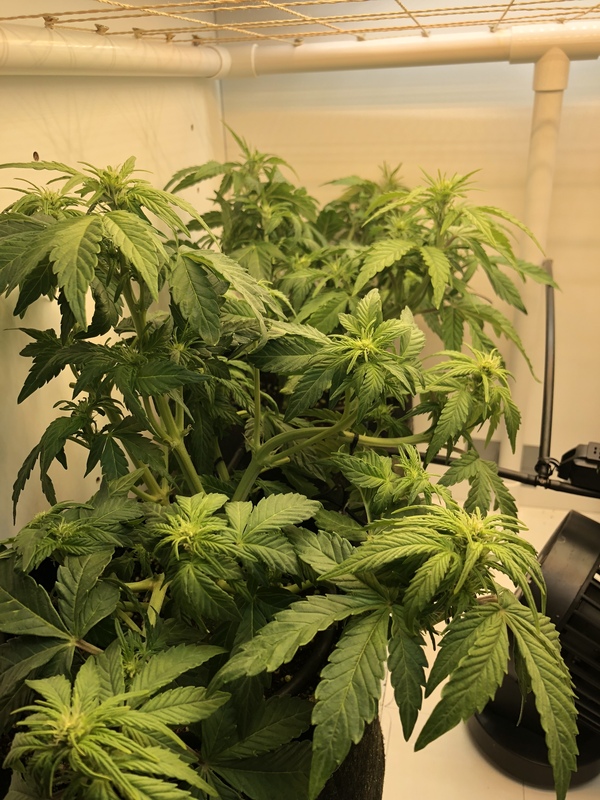 I think your best course of action would be to focus on the photoperiod plants and stick the autos in the corner and get what you can from them. 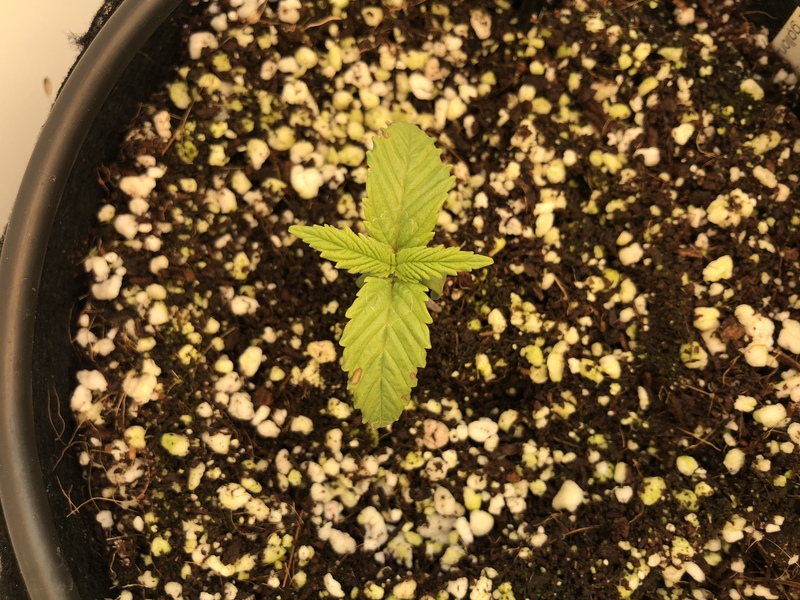 Keep the nutrients and lights at whatever is best for the photoperiod and the auto will just be an early treat.